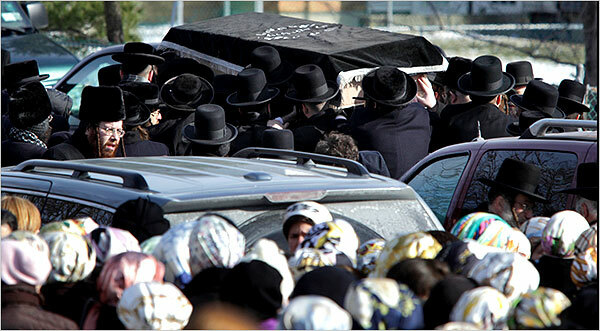 Today's New York Times had an article on a woman in the Hasidic community in Orange County, who died at the age of 93 leaving 2,000 descendants. It's a wonderful story about a woman who was the honored guest at so many family functions that a son had to act as her social secretary. Too bad that my brother wrote that story a month ago for the Times Herald Record. The New York Times even used one of the photographs from his front page article. They could have just run his story and given him the byline. It's easier to keep track of your children and grandchildren than it is to keep track of your ideas and words. < Previous It’s a Small World After All. And a Happy One. I’d cancel my subscription in protest if I hadn’t already canceled years ago on because I could read it for free.